Although I spend most of the year on the road, I am startled by how many local news stations portray Black and Brown Boys. The headlines all read the same: shootings and murders of young Black and Brown boys by young Black and Brown boys. When I pay attention to news from other cities, large and small, I realize that almost all are experiencing the same problem. Actually, problem is too weak a word. In many inner cities, anarchy is a more accurate description. In Newark, Philadelphia, Richmond, Charleston, Atlanta, Orlando, Cleveland, Detroit, Chicago and other major cities to the west, almost every day there is a story of young black men shooting young black men. The immediate cause is well known: some kind of dispute arising out of the drug trade, the main source of income for many inner-city young black men. Young men go out on the street not only with their destructive merchandise but also with a loaded gun tucked into their belts. And there’s not much police departments are able to do to stamp out the trade once and for all. No matter what the police and protesting members of the community do, the flow of recruits into the trade continues. Selling illegal drugs is an exciting, lucrative and now, thanks to “some” Hip-Hop, a glamorous business. Young black men knowingly accept the risk of death and the probability of time in prison. But the quality of life for the decent citizens of the affected inner cities is down to about zero. You can get shot by a stray bullet while sitting in your living room. What can be done? In the short term, not much. For the long term, the focus has to be put on Black and Brown boys coming up. For a good many might easily be lured to the trade. Inner-city neighborhoods and barrios have to do much more to steer them down a different road. For three decades, there has been a framework for doing that. In 1966, Ron Karenga initiated the seven-day festival of Kwaanza. 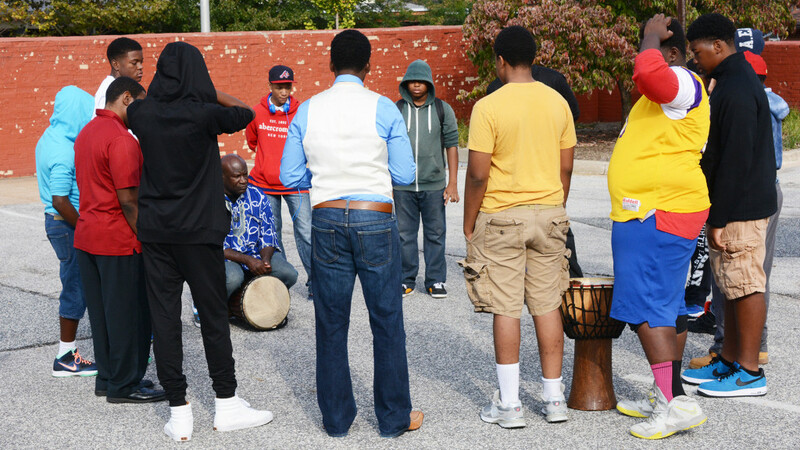 By celebrating African Americans’ African heritage, Kwaanza was intended to provide a cultural landscape for African Americans, while making a connection to Africa. Among the seven principles that are celebrated during the seven days of Kwaanza is that of Kuumba. Its principle is that African Americans should do as much as they can to leave their community more beautiful and beneficial than they inherited it. Here, then, is an opportunity for creating a rite of passage for Black and Brown boys — a rite of passage that can have a lasting impact, similar to Jewish boys across the country. In the remaining days of the year that follow Christmas, Kuumba should mark the passage of Black and Brown boys into manhood — responsible manhood. A serious ceremony should be held that honors every boy who turned 13 during the past calendar year. A series of ceremonies should be held in neighborhood meeting places, such as churches, schools, clubs and restaurants. The high point should be a formal initiation and the plentiful giving of gifts. I was just recently asked to administer one of these ceremonies, and was very excited that the mother, a very close friend, sees the importance of this cultural tradition.